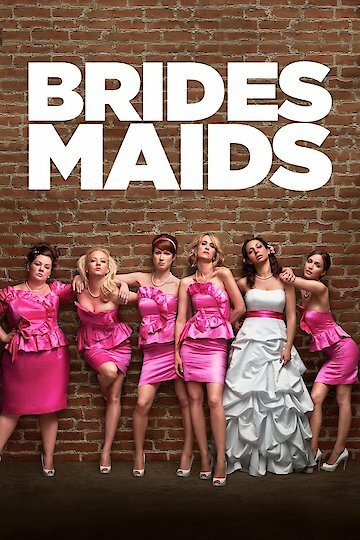 “Bridesmaids” is an American comedy that was released in the spring of 2011. It was written by friends Kristen Wiig (Saturday Night Live alum) who also stars as the leading role, and writer and actress Annie Mumalo. The movie was released with rave reviews all stating the “comeback” of women in comedy. It has been nominated for an Academy Award and a Golden Globe Award due to its comedic success. The film was produced by the well-known Judd Apatow and quickly became the highest grossing Apatow film of its time. “Bridesmaids” follows best friends Annie (played by Wiig) and Lillian (played by Maya Rudolph) as Lillian asks Annie to be her maid of honor in her upcoming wedding. Annie finds herself quickly in over her head trying to help plan her best friend’s wedding as her own life seems to be spiraling out of control. Making matters worse is Lillian’s new friend Helen (played by Rose Byrne) who tries to edge Annie out of the way for the slot of maid of honor. Helen’s over the top perfection seems to push Annie over the edge. Along for the ride are three other female comedy heavy-weights: Melissa McCarthy as raunchy Megan who brings awkwardness and laughs, Ellie Kemper as naïve newlywed Becca and Wendi McLendon-Covey as Rita a mother who’s been around the block. The film follows the women as they plan for Lillian’s wedding, involving a scene stealing performances from all the women after they get food poisoning in an upscale bridal boutique. The gals then plan to make a bachelorette party trip to Las Vegas which gets foiled on the flight there by a drugged up Annie who is afraid to fly. Even their over the top Parisian bridal shower is ruined as the two best friends Annie and Lillian end up at each other’s throats and tearing up the party. The movie explores the uglier and more humorous sides of the worst case scenarios of what can happen between women when planning a wedding. Though the movie is not for the faint of heart, it is for those who want a great laugh about what can happen when there’s jealousy between friends. Bridesmaids is currently available to watch and stream, buy, rent on demand at FlixFling VOD, Amazon, Vudu, Google Play, FandangoNow, iTunes, YouTube VOD online. If you loved "Bridesmaids" - and, at least according to box office numbers, statistically you did - you can rejoice. Writers of the raunchy romp, Kristen Wiig and Annie Mumolo, are reuniting to develop a new buddy comedy coming out of TriStar Pictures.